What are the most influential “Slavic” churches in the United States? There are Russian-speaking congregations in just about every state, and they exist in all shapes and sizes. Most of the churches are connected loosely through different networks. I have traveled all over the United States (Ive been to all the states except Hawaii), and have ministered in over 100 churches. In this blog, I have put together a list of Slavic churches that I believer are the most influential in the United States. I do admit – my knowledge of “Baptist” churches is limited, and therefore, they are not equally represented in this blog. There are MANY great churches, and they exist in most cities. This is not a list of the greatest, or largest Slavic churches. This is a list of churches that influence other churches, impact leaders, lead in innovation, missions, or other fields. This is a list of influential churches TODAY. There are a number of churches that were extremely influential in the past, but today are mostly just great churches. There are many churches who’s pastors are VERY influential, but the influence of the pastor or leader does not always make a church influential. You might not agree w/ my inclusion of some of these churches, because you dont agree w/ their church practices or doctrines. Just because you dont agree w/ a church, it does not diminish their influence. Living Stream Christian Church is host to “Slavic Missionary Bible School, which yearly holds a training center for up to 90 young adults that typically come to Jacksonville from over 15 states, from over 50 churches. The students live in Jacksonville for 6 months, and, after being equipped trained, leave to the mission field (Ukraine, Russia, Cuba, Africa, and other nations). There have been many students who have bought a one way ticket to the mission field, and remain dedicated to planting new churches overseas. While at Slavic Missionary Bible School, students are highly active and involved at Living Stream Christian Church, and serve in difference church services and functions. Weekly, students are involved in street evangelism, prison ministries, helping at homeless shelters, and other ministry opportunities. Also, while studying, many ministers of Living Stream Church serve as mentors and counselors to the students, who often go back to their home churches inspired, equipped, and ready to serve in any capacity. There are probably very few Slavic churches throughout the United States that have not sent a student to SMBS. There are now some churches that are starting to even finances and pay for their young people to go through SMBS, due to the affect they will have on these people. In addition to SMBS, Living Stream Church has started a Teens Bible School, and host over 100 teens in the summer. While at TBS, teens learn basics of Christianity and faith, but also participate in countless fun activities, trips, and outreaches. Bogdan Bondarenko, the son of Pastor Vitaliy Bondarenko, plays a big role in the success of SMBS and TBS. Just these two ministries require a number of people to work full time throughout the year. The church is literally full of movement & people all the week, starting from early morning to late at night. Most Slavic people probably don’t even know about this church, yet, most have heard or benefited from the ministries started by this church. Itself, it is very small church (probably 100-150 people), but it is primarily made up of completely sold out and dedicated young people who have been set free from drugs and alcohol addiction, and who go on to serve as missionaries overseas including to Ukraine, Russia, Honduras, Bangladesh, Mexico, Europe, Mozambique, Kenya, or in the states. “God Will Provide” have a number of drug-rehab centers in the United States (in OR, WA, CA) and overseas. Their men’s rehab center in Portland typically houses over 20 men who live there for 1 year, and the women’s rehab center typically has 15 girls going through the program at once. They have also started a number of churches internationally, as well as work with orphans. God Will Provide rehab centers have influenced other churches to start rehab centers in their own cities. Drug abuse is a huge epidemic throughout the United States, and many Slavic immigrant youths and adults also become victims, addicted users. God Will Provide’s biggest impact probably comes from what happens after the drug rehab patients finish rehabilitation. Most of the these people have nothing to lose and nothing waiting for them at home, and end up surrendering their whole life to the Lord. After the drug program, they go through a Bible Training courses, and end up going somewhere to the mission field, or to help lead other drug rehab centers. Currently, they are planning to start a drug-rehab center in Tacoma, WA, which will be run by several former drug addicts. There are families throughout the United States that have been completely transformed by God through the ministry of God Will Provide. Time Magazine recently named “Calvinism” as one of the top 10 ideas (ranging from technology, medicine, and innovations) that’s changing and shaping America. Whether or not one agrees with Calvinism, one cannot deny their growth, impact and influence. In the United States, leaders such as John Piper, Matt Chandler, Mark Driscool, Francis Chan, Paul Washer, John MacArthur, Tim Keller, Louie Giglio, and RC Sproul are immensely popular and influential. Calvinist authors such as John Calvin, Jonathan Edwards, & Charles Spurgon continue to be read and their writings studied. No doubt, there is a resurgence of Calvinism in the United States. 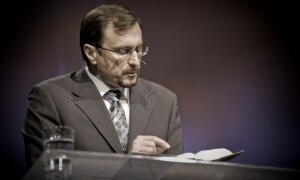 The Slavic Christian community is hugely influenced by Pastor Aleksey Kolomiytsev. 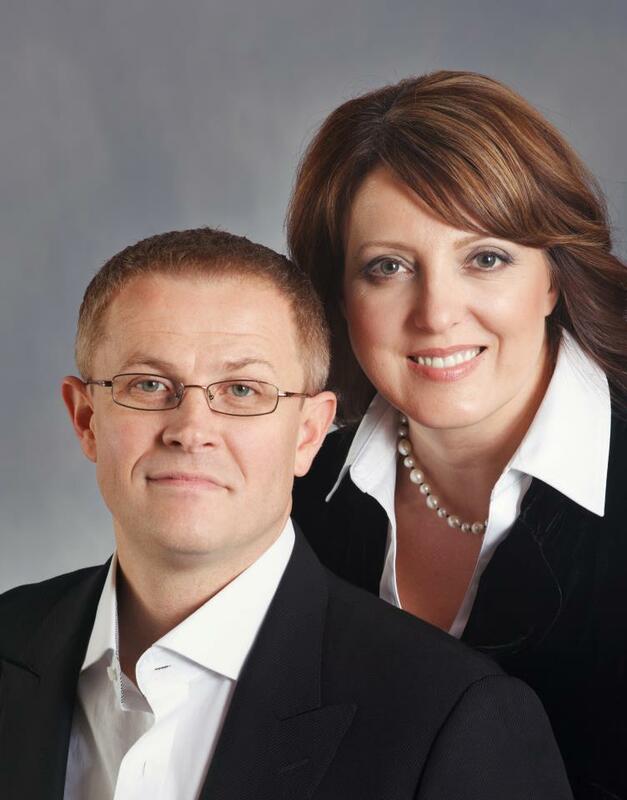 After studying at Master’s Seminary under John MacArthur, Pastor Aleksey Kolomiytsev moved to Vancouver to pastor Word of Grace church. The church has seen steady and continued growth. Their yearly pastor’s conference attracts hundreds of pastors and leaders from all over the world. Their online publications and sermons are highly sought after and shared. And judging by their zeal, dedication and healthy structure of leadership, their impact and influence is only going to continue to grow and expand. House of Bread is a young church, and their influence throughout the world in many ways is due to Pastor Alex Shevchenko and his sermons. Though he is young, he is one of the most well-known, & well-respected Slavic ministers in the world today. In addition to their Christian television programs, House of Bread has an Online Christian Education program, with students studying from all over the world. The online education curriculum is continuously expanding, with some of the best Slavic teachers across denominational lines teaching at that school. They are also currently working on making that school fully accredited. 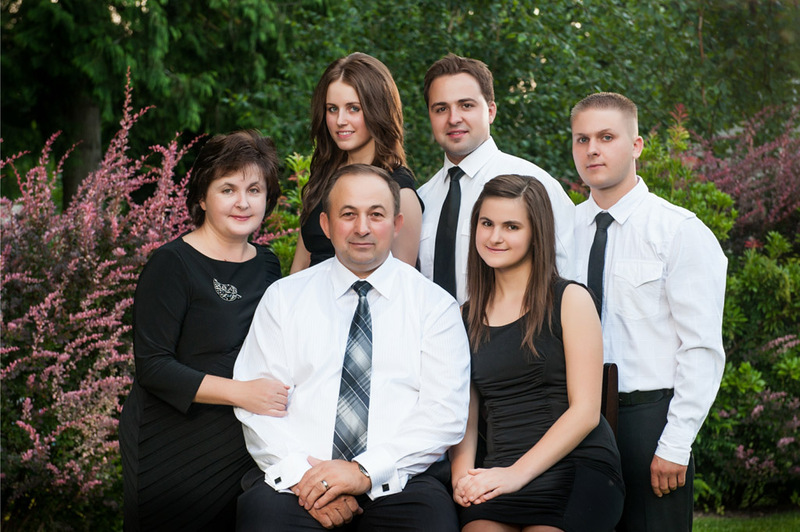 Valeriy Khimich oversees this ministry, and is dedicated to its success and growth. House of Bread also hosts a number of great conferences, speakers, forums, and talk shows that play a significant role with thousands of attendees and online viewers. This Summer, they will be hosting a Forum on Calvinism and Arminianism, with Pastor Aleksey Kolomiytsev being one of the participants. Last Janyuary, House of Bread hosted a forum that attracted denominational leaders from 7 different countries. Though they are unique and separate ministries, Ugol, the ministry of Alex Shevchenko, pematv all have their roots & connections at House of Bread, and reach an online and television audience of millions of viewers. Though Baptist and conservative Pentecostal readers might cringe at my inclusion of this church on this list, no Slavic “Charismatic” will deny the influence that Pastor Sergey Kozlov and Church of Truth play in the Slavic Charismatic circles. Church of Truth is the largest Slavic Charismatic church in the United States, and they have existed for a long time. Because of their faithfulness overtime, their impact speaks for themselves. It is probably the “flagship” church for Slavic charismatics, and pastors and leaders from all over the United States have come to Church of Truth numerous times for conferences, pastoral gatherings, and fellowship. “One Heart Fellowship” is an umbrella under which many Charismatic pastors gather. And though there is no set leader or bishop in that fellowship, it is quiet evident the role that Pastor Sergey Kozlov has played and continues to play, to bring Charismatic leaders together. Some of the top Charismatic Christian leaders in the world have spoken at Church of Truth. Their yearly G4T Youth Conference is one of the largest Slavic youth conferences in America, drawing over 1,000 youth together from several states. Bethany Slavic Missionary Church is the largest Slavic church in the United States, and has played an important role amongst Slavic churches for many years. Sulamita Church is the largest Slavic church in Oregon, and Slavic Christian Center is the largest Slavic church in Washington. Slavic Pentecostal Church of Utica is the largest Slavic church of the East coast. Life Christian Church is the flagship church of the Slavic district of the Assemblies of God. Arc of Salvation Church is the flagship church of a very conservative, “unregistered Pentecostals” fellowship of Slavic churches. 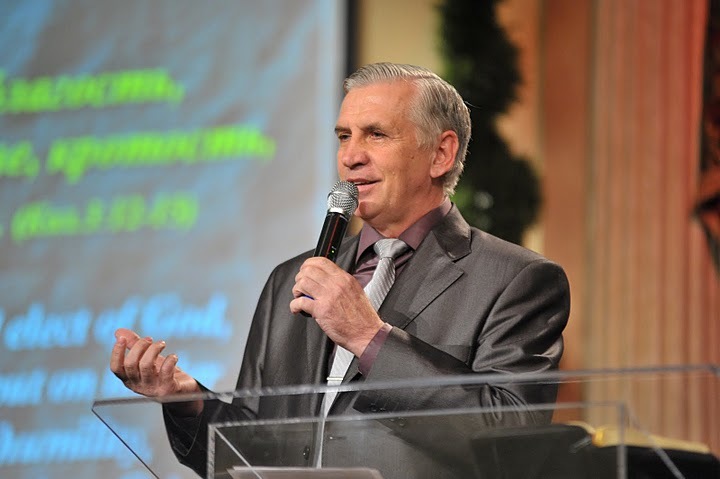 Trinity Christian Church and Pastor Victor Vronskiy is bringing together conservative churches in the United States, “registered” or “unregistered.” Slavic Pentecostal Church of Rochester is uniting churches of New York State together. 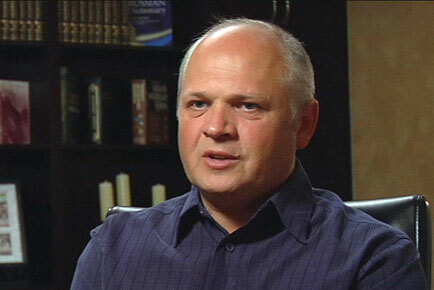 Pastor Victor Limonchenko currently leads Living Water Christian Church in Snellville, GA and serves as a bishop of many Slavic churches on the East Coast. Why did I not include City On A Hill Church as one of the most influential churches in the US? As a church, we are only 3 years old. Influence grows with time. Certainly, many churches are noticing what we are doing, but, our level of influence will be revealed with time. Home groups: we don’t hold weekday service, but meet in home groups; many churches will want to experiment w/ that, and with close to 50 active home groups, the experience gained can benefit others. Opening new campuses: 1 year into our church, we ventured out and planted a 2nd campus; experience gained through that was valuable. Technology: though many churches use technology, this is one area where all churches can learn from one another; City On A Hill Media has an incredible media team, and w/ time, can provide valuable information about websites, social media, church management system, text messaging, planning center online, live streaming, etc. Vibrant youth & kids ministry: the Lord has blessed us w/ some of the most dedicated Kids and Youth ministry leaders. The are teachable, spend a lot of time in prayer, asking questions, researching, trying different curriculums, training new leaders, growing a strong team. Is there a Slavic church that you would have included in this list? Id love to hear from you! Comment below. Biggest lack? There is a need for model Slavic churches that transition well into the English language, and begin reaching their community, English speaking people. Many Slavic churches are asking questions “how,” and in the next couple of years, churches and leaders will be looking for examples to learn from and follow. ← Martin Luther scares me. There is, but they are very small in size. I’m so excited to hear that! Please tell me where – I would love to visit. Thank you! I wish there was a Slavic Church in San Antonio, TX, Austin or Houston area. I agree with you about Slavic Trinity Church. By far the best, and the closest, teachings of the Bible in the Sacramento area. But they are always crowded! One time I came there 30 mins early, I had to park at a bank across the street. And I can almost promise you, there was at least 500 cars around that church. The service was crowded too, about 3000 people. Next time, I’ll be coming two hours early. I would also like to know if there are any in San Antonio TX Olga are you in SA? Do you know if there are any Slavic Churches near or in West Palm Beach Florida? Kansas City Bible Institute is a new group dedicated to being a semi-seminary to teach basic ministers about doctrine and discipleship. We invite your visit to our site. We also invite Russian speaking Baptists to prayerfully consider service as both translators of the 10 Lesson series and to be missionary partners. We will have a Russian speaking Discussion Board for Russian students where you can counsel them, encourage them and be a resource of knowledge for them. With the internet we can reach out world-wide with the Gospel. Won’t you pray about your involvement with this? Do you know if there are any Slavic Churches near or in Northwest Arkansas?